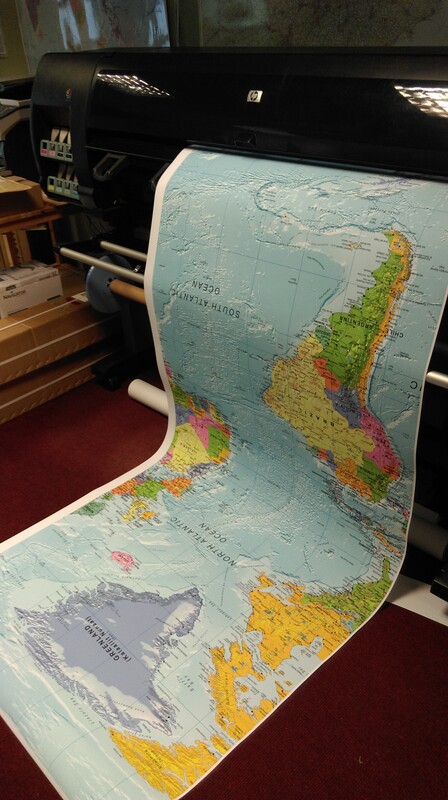 Very Large Maps output in Strips, perfect for Wallpaper. More details on area to cover. 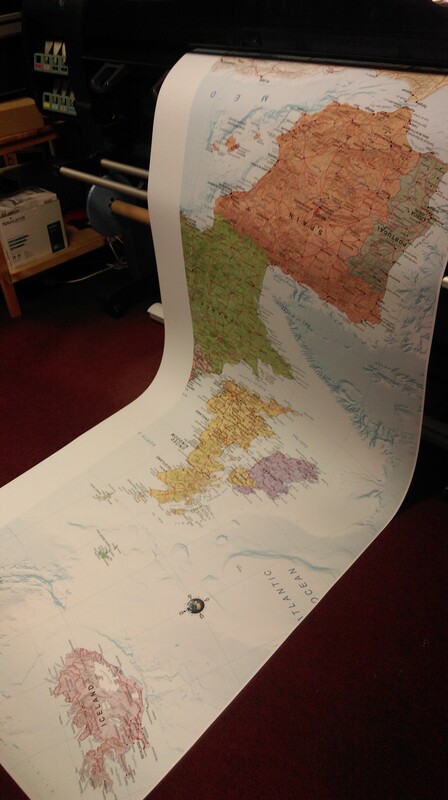 Any of our maps can be printed as a very large wall map, we do this in strips. 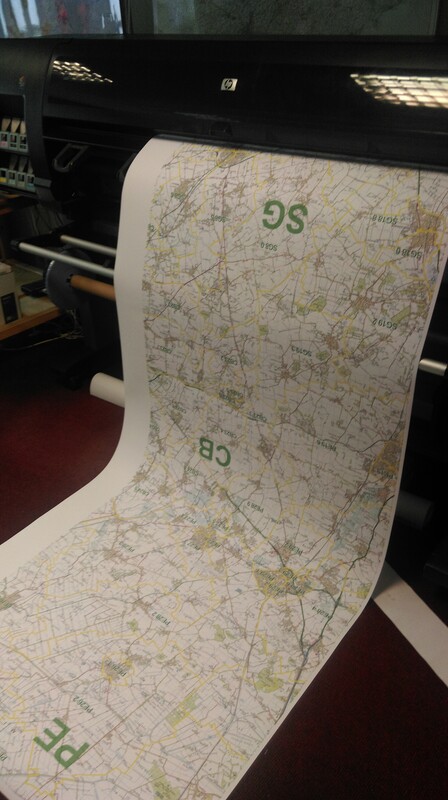 Usually the strips will be around 1 metre wide, We can make the maps any width to fit any wall, the largest so far has been 8 metres wide. You can have any height within the "Width Price Band". Many of the maps are in fixed proportions. The World Map is fixed by the size of the Earth, roughly twice as wide as it is high. We can vary that a little by adding or removing areas at the top and bottom of the map. 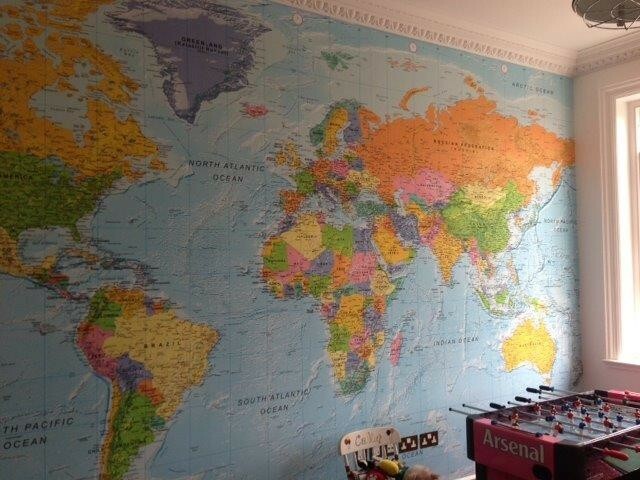 In the case of Africa, South America and the British Isles then they are natually 'portrait' in orientation so the map will be narrower than it is high. We will confirm everything by e-mail or telephone, before proceeding with any plotting. If your combination of height and width does not work we will advise you on any possible solutions. Please enter as much detail as possible in the "More details on area to cover" box. "I would specifically like Aberdeenshire"
Alternatively give a geographical description such as "West - Paisley, East - North Berwick, South-Carlise, North Aviemore"
Don't worry, if it is not clear to us, we will talk you through your requirements. Thank you, I've received my map. I've had a quick look and it's great. I'm not decorating for a few weeks yet though so I won't be able to see it in situ for a while.